Steel is an alloy made by combining iron and other elements, the most common being carbon. By varying the amount of carbon and other elements and how they form in the steel, you can control the qualities of the steel such as the hardness, ductility, and tensile strength. When carbon is used, it’s content in the steel is generally between 0.2% and 2.1% by weight, depending on the grade of steel. The greater the carbon content the harder and stronger the steel will be, i.e. tool steels. So, knowing this, why would you be interested in further processing the steel? When steels are cryogenically treated, the carbon structure is modified through a mechanism that is technically described as “the precipitation of eta-carbides”. After Cryogenic Treatment, more eta-carbides particles are formed. While it is not fully understood why this occurs, it is undisputed that it does happen and can also be seen through SEM (scanning electron microscope) analysis of steels that are cryogenically treated versus those that are not. The population of these eta-carbides – both brilliant ones (white ones) and dark ones (black ones) – is dramatically increased after Cryogenic Treatment. All metals – not just steel, (aluminum, copper, cast alloys, etc.) will benefit from residual stress relieving as a result of Deep Cryogenic Treatment. All metals have residual stresses; they are created from the moment the metal “freezes” from its molten form into its solid form. Molten metal freezes – or transforms from its liquid phase to its solid phase – like water. As heat is extracted through cooling, dendrites (or crystals) form from the coolest areas first. Typically, these are at the surfaces and edges. Irregular freezing results in natural stress lines, where the dendrites collide or along the boundaries of the liquid (molten) metal and the solid metal. After the metal is cast in its raw stock form, (e. g. block, billet, plate, round, etc. ), it is heat treated to normalize the material and modify its properties (e.g. hardness, tensile strength, etc.). Once the raw stock is further modified, additional stresses are induced (through its machining, cutting, grinding, forging, etc.) during the manufacturing process. When combined, all of these stresses form weak areas that are prone to fail through propagation of the stress lines, resulting in cracks. These are often characterized as fatigue failures or more simply “metal fatigue”. Cryogenic Treatment attacks the root cause – the residual stresses. Cryogenic Treatment greatly reduces or eliminates fatigue failures, as well as the propagation of cracks in the metal components. Why Cryo Treat With Nitrofreeze? Premium Quality – Our focus on quality starts at the moment your order arrives on our dock and ends with a final shipment inspection as performed by one of our trained technicians. You can be certain that your parts are being treated with the upmost quality from start to finish. Quick Turnaround – We run a cryogenic process every week! Starting every Friday afternoon with return shipment of your components on the following Tuesday. In by Friday and out by Tuesday. You can’t beat a 5-day turn. The Nitrofreeze Cryogenic Process – Nitrofreeze uses a proprietary Cryogenic Treatment profile that utilizes ultra-slow ramps rates and stabilization stops throughout the entire process. In addition, we also perform the industry’s longest holds at -300 ºF, with a minimum 24 hour dwell at temperature. Statements of Compliance – We validate all of our Cryogenic Treatment cycles to determine that all process parameters have been met. A Statement of Compliance will accompany all standard cryogenic treatment orders that we process on a weekly basis. This is just another way to make sure our customers know they are getting the best possible service. We also can provide Certificates of Compliance if required for a nominal fee. Processors for Any Size Part – With multiple cryogenic processors in house, we offer the flexibility to cryogenically treat parts of almost any size or weight that a customer may have. Since we have many cryogenic chambers, this gives us the ability to match most customer volume requirements. Custom Temperature Profiles – Nitrofreeze offers custom cryogenic processes for a range of advanced applications. 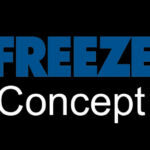 Nitrofreeze has completed work for U.S. Government agencies, MIL and DOD contractors, universities and private industry. We will work with you on creating a custom profile to meet your cryogenic processing needs. To learn more information on how your particular application can benefit from cryogenic treatment, please select a link below.